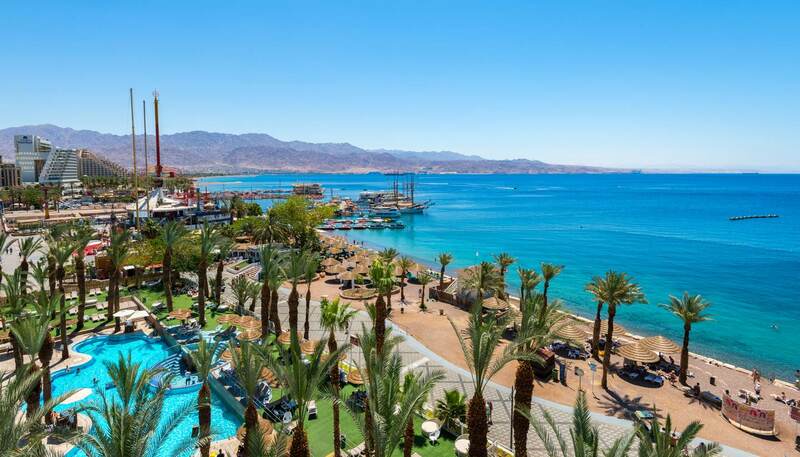 Sandwiched between the Red Sea and the mighty Negev desert, Eilat is a water sport and desert adventure paradise. The southernmost city of Israel has all the hallmarks of a fantastic sun and fun holiday – spotless beaches, year-round sunshine, VAT-free shopping, high-end resorts and a wonderful host of sun-splashed activities on water and land. A trip into the Negev desert is a must-do. Within the desert highlands lies the Arava valley, a vast swath of desolate land that stretches from Eilat all the way to the Dead Sea. Miles and miles of rocky mountains, deep craters and wadis (riverbeds that are usually dry except after a rainstorm) dominate the landscape, but the area is far from inhospitable. The wild and harsh environment does not deter kibbutzim (collective communities) from springing up across the Arava valley. Both men and women can be seen working on the arid land, coaxing life from the saline soil. Their success is evident by the endless rows of date palms gloriously reaching for the sky and neat lines of greenhouses producing fresh vegetables. Many kibbutzim also harness solar energy, run guest houses and manage eco tours, contributing to the economy in a wide variety of ways. 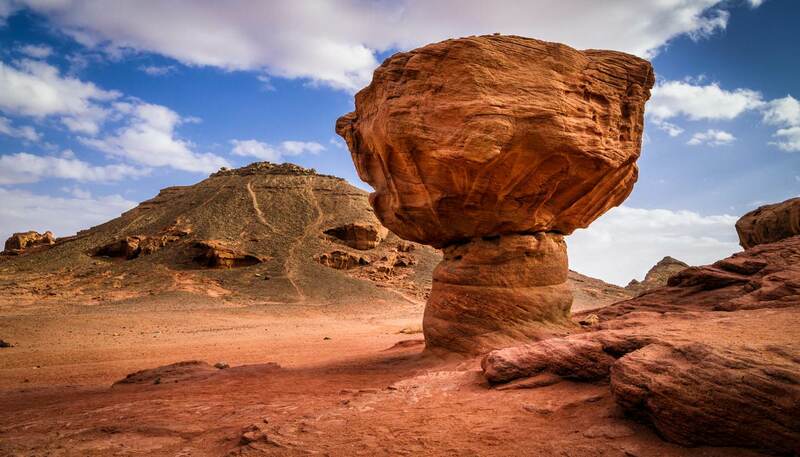 Just 30km (19 miles) north of Eilat lies the stunning Timna Park, the site of one of the world's earliest copper mines. It's also home to unique geological features shaped by wind and carved out of the earth over millennia. A little further north is Mitzpe Ramon which overlooks a famous makhtesh (crater) of the same name. Contrary to popular belief, this makhtesh is not the result of a meteor strike or an active volcano – it was created through centuries of erosion instead. Another 150km (93 miles) north of Mitzpe Ramon is the mighty Masada National Park, King Herod’s mountaintop fortress. Then there’s the spectacular Dead Sea. Lying 400m (1,320ft) below sea level, the Dead Sea is so rich in minerals that you can’t sink it in. 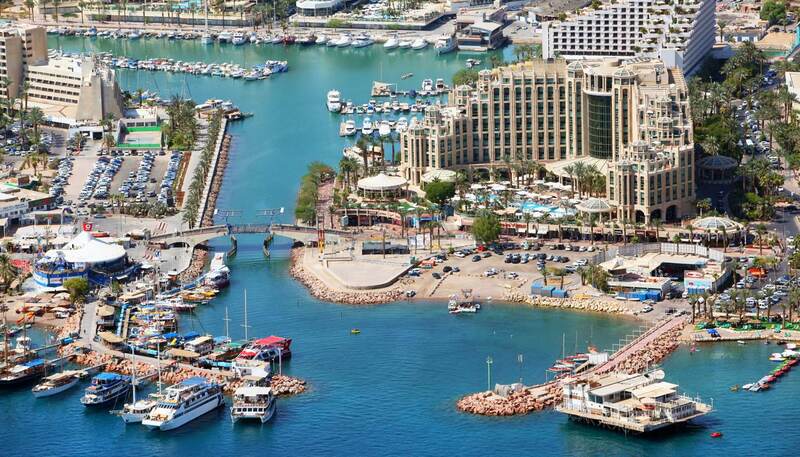 Ultimately, it's the sun and sea that attract visitors to Eilat. The waters here are rich in coral and home to a rainbow of fish, perfect for scuba diving and snorkelling. You can also admire them from the Coral World Underwater Observatory, six meters below the sea level. Back on land, the city is decidedly low-key and easy-going. Holidaymakers tuck into an abundance of fresh seafood, sipping Israeli wine in between lazing on sandy beaches. Life is good. 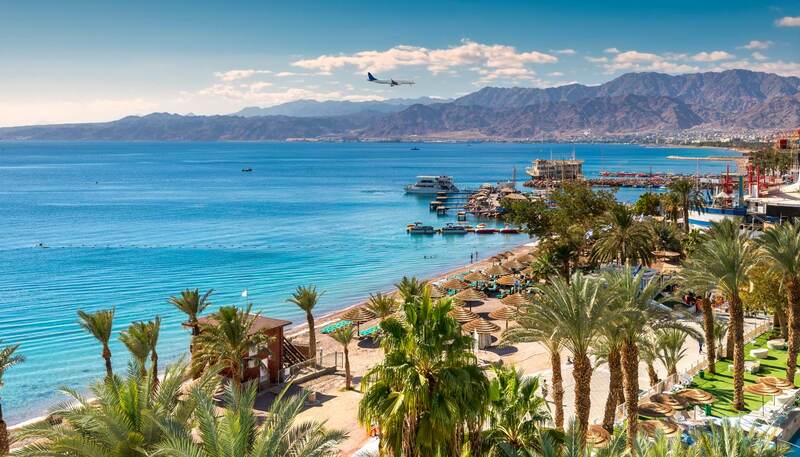 With many airlines now flying direct to Eilat, enjoying this sunny paradise has never been easier, and for those who come, the rewards are immense.